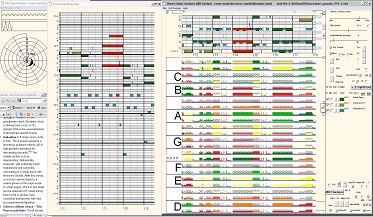 Music Visualizer: A Music Comprehension / Music Analysis Tool: Interactively play and display MIDI files with tools to see chords and keys to aid comprehension of tonal aspects of the music, with optional overlaid pitch feedback for learning to sing along with the melody, or in harmony, and several other features. 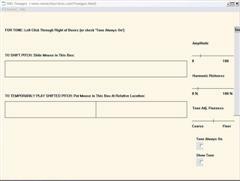 Click here for Norm's Music Visualizer Information and/or Download. 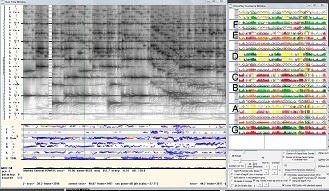 Tonegen: A versatile tone generator, including multiple notes, and variable overtone frequencies and volumes, for exploring the science of timbre, "musicality" of sound, consonance, dissonance, roughness (theories of Helmholtz, Terhardt, Parncutt, etc.). Supports rapid switching between up to 3 variants of similar or related sounds (e.g. "probe tones"). Also has separate functionality for testing pitch-discrimination perception, effect of phase-difference between ears, etc. Also, you can take peaks at a point in time from a SpectratunePlus spectrum, and pass them to ToneGen via a clipboard, and you get the same sound, and you can also monkey around with them--shift individual overtone frequencies and intensities. Click here for TonGen Info. 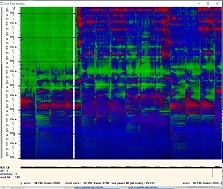 SpectratunePlus: Does spectral/harmonic analysis on live sound, and also recorded sound. Several aural-feedback, and key/chord-related, features. Click here for SpectratunePlus Info. 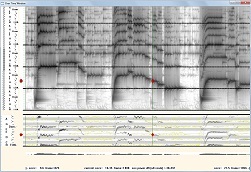 Spectratune An earlier version of SpectratunePlus, limited to analysis of live sounds. 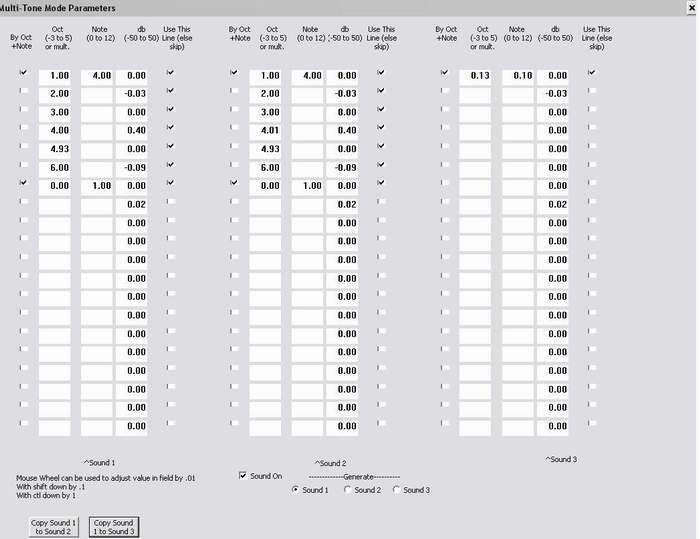 Some with live-sound-analysis needs may prefer it, because it has a simpler interface than SpectratunePlus. Click here for Spectratune Info. 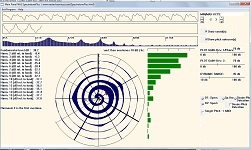 My (now ancient) Spiral Spectrogram Videos (here). These are a video version of the spirals that you get in live mode of SpectratunePlus, recorded against mostly classical music recordings. There is even a full length video of Brahms' German Requiem.